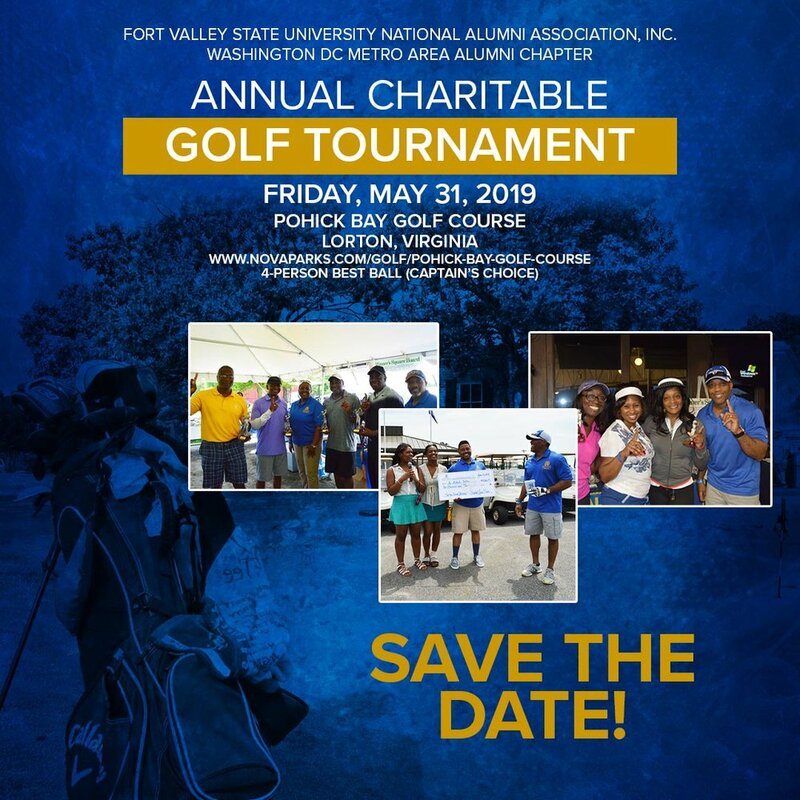 The Fort Valley State University Washington DC Metro Area Alumni Chapter is pleased to announce that the 2019 Annual Charitable Golf Tournament will be held on Friday, May 31, 2019 at Pohick Bay Golf Course, 10301 Gunston Road, Lorton, Virginia 22079. On behalf of the entire FVSU Washington DC Metro Area Alumni Chapter, thank you for faithfully supporting our signature event to raise funds for scholarships and other student aid programs. We do not take your support for granted, and we look forward to your continued participation and/or contribution.